Otus tracker and other hardware components found here. Show that it works ! Two Otus trackers with there ID’s highlighted are simulated on Gazebo as shown on the right. 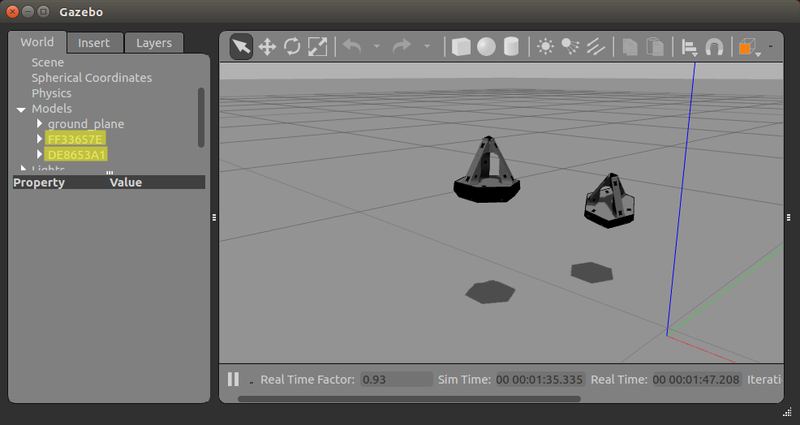 Gazebo is an open-source robot simulator that can be integrated with the ROS infrastructure to provide powerful interfaces to simulate a robot in a realistic environment. 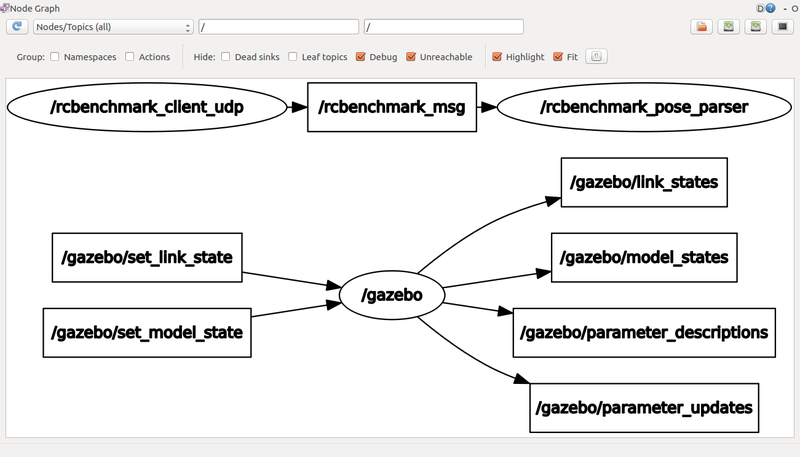 The Gazebo node is not launch internally trough the source code, it is launched via the launch file. The/gazebo/set_model_stateis called inside the Client Node. Once the call has been made, the model is updated (/gazebo/model_states) in the Gazebo world. 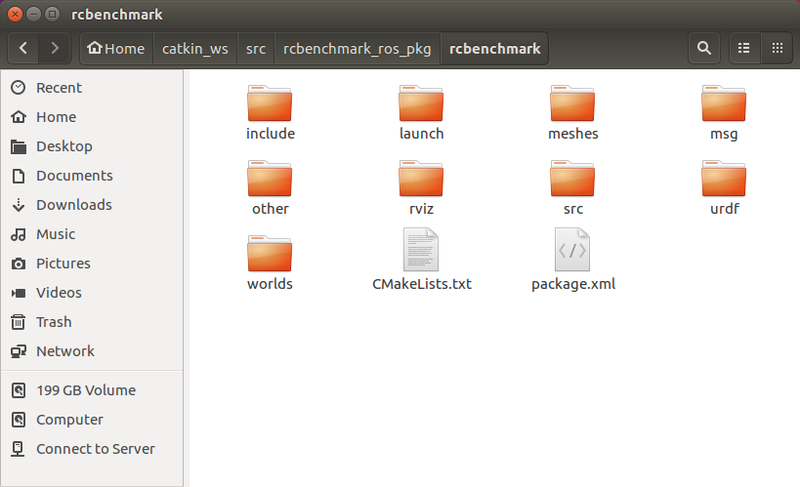 Note: In this tutorial, we are referencing the rcbenchmark project written in C++found in the rcbenchmark_ros_pkg workspace (see right). The logic of the client node is shown on the right. The role of the client node is to construct the rcbenchmark_msg based on the UDP packages acquired from the RCbenchmark Tracking Lab 2017 server. The constructed message is published on the /rcbenchmark topic. Also, we are using the gazebo_msgs/SetModelState Service to set the controllers state in the Gazebo simulator by publishing its gazebo_msgs/ModelState. The logic of the pose parser node is shown on the right. 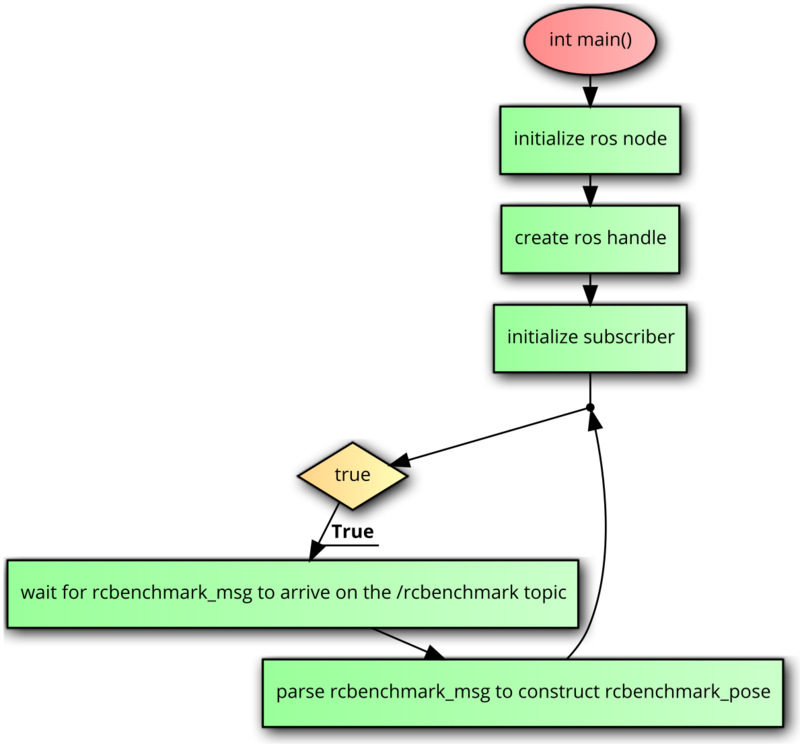 The role of the pose parser node is to parse the rcbenchmark_msg and obtain the rcbenchmark_pose. The newly created message does not contain the linear and angular velocities and accelerations. Note: there is no need for the pose parser node in this tutorial as the controllers simulation on Gazebo is solely based on the rcbenchmark node, but we added it for your convenience. The Otus tracer is represented using the Unified Robot Description Format (URDF). The two block codes highlighted in pink spawn the Otus trackers to the Gazebo world. It is important to note that thenode namehas to be unique and the model which is the ID of the Otus tracker in our case has to match. 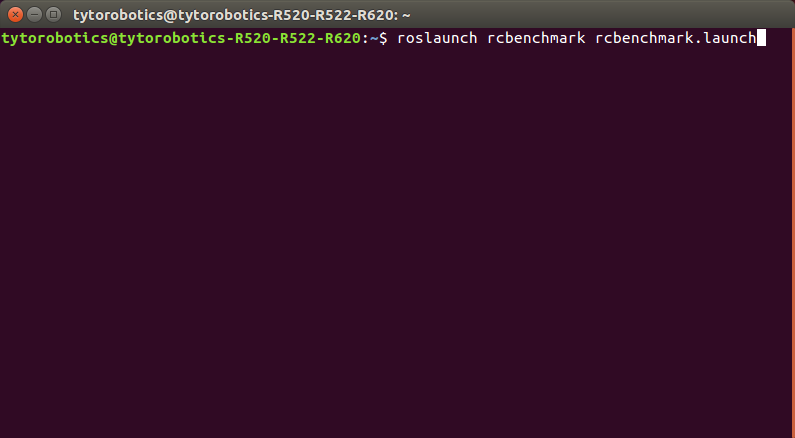 The command to execute the rcbenchmark.launch via the shell is shown on the bottom right. Note: when adding/modifying the model (controller ID) argument in the launch file, it is important to add/modify the source code of the client node as well.